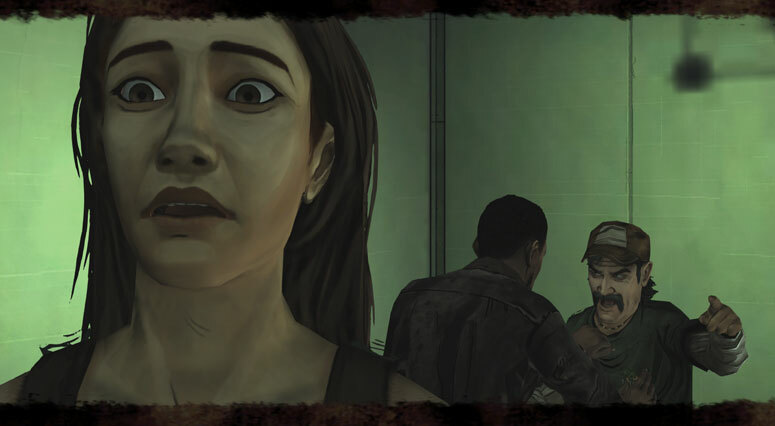 A note from the editor: As Telltale’s The Walking Dead series draws to a close with Episode 3 of the Final Season having just been released, we thought we would take some time to celebrate how it all began. 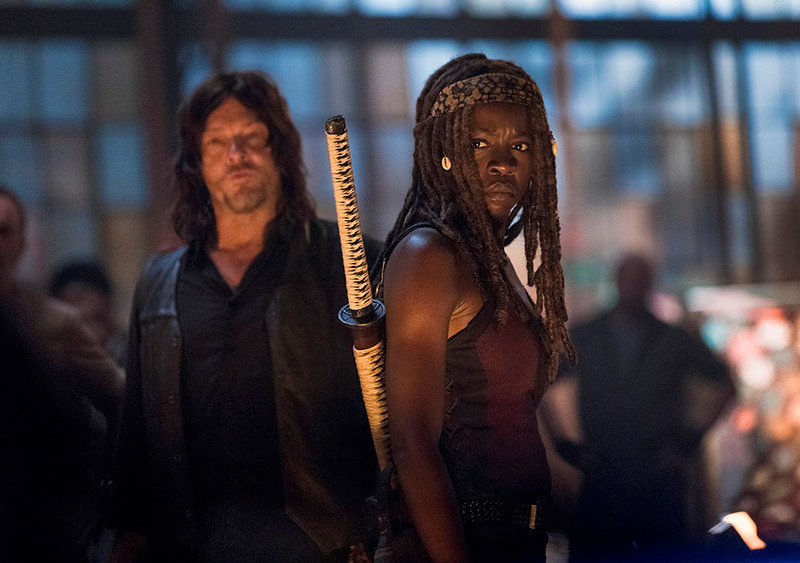 This article looks back to the very beginning when episode 1 of season 1 grabbed so many of us and never let go. I’m not a fan of typical horror fare, like the knee-jerk scares or cheap tricks that make me uncomfortable showering in an empty house. But every once in a while, games like Silent Hill 2 or The Walking Dead come along and speak to our deepest human condition in the language of chills and fog and sweat. But unlike the psychological unease i feel toward the masterpiece of Silent Hill 2, I actually looked forward to playing The Walking Dead. The cell shaded zombies and survivors make it easy for non-horror fans to approach the game, without miring the action itself in cartoon antics. The seriousness of the world and the fear of its characters still comes through in every ankle-biting encounter with the undead, or desperate quarrel between survivors. I was initially disappointed at Telltale Games’ decision to make a point-and-click adventure game with the zombie franchise. The visceral nature of killing walking meat bags has been executed with great success by notable contemporaries like Left for Dead’s FPS games, or Dead Rising’s action adventure titles. I was disappointed until my first encounter with a zombiefied state trooper. Bleeding from my thigh, unaccustomed to violence, and terrified of corpses (eating brains or not) your character, Lee, crawls from the wreckage of a police car. Your injured leg ironically turns Lee into a stumbling, slow moving target, painfully bending down to pick up an empty shotgun. “Hopefully I won’t have to use it,” your character says, tossing the weapon back to the ground. This is not right. It’s the zombie apocalypse, I am nearly immobilized and my character won’t even hold onto a gun. When you’re armed, when you can maneuver, you naturally think differently about danger. Waves of zombies are hurdles to be overcome, moving target practice. In this moment at the side of the road, I am not thinking about zombies as target practice. A dead state trooper lies just beyond the wreckage, and beside him are the keys to my handcuffs. I approach slowly, painfully reaching down to search his unmoving body for my prize. We forget that while making a tough decision is easy, how we live with our choices is what counts. Shooting, stabbing and maiming wave after wave of shamblers breeds confidence and defiance. But take away the gun and movement and you’ve given the player a reason to fear when the dead trooper starts screaming and moving towards you. Click on “pick up keys”. Now click on “open cuffs”. Jam on the arrow keys and get the heck away from here. Oh you tripped. Ok, crawl the heck away. Wait, you naturally remember the shotgun, only to also remember it’s empty a moment later. The camera gives you a great view of the abomination inching towards you and the game even lets you click on “look at zombie” for all the good that will do. Desperately scanning the screen with the mouse, your cursor passes over a single red shotgun shell just out of reach. Click, “Pick up shell”, the trooper’s almost to your ankles, click “load shotgun”, click. I have killed hundreds of zombies in other games, thousands without developing slick, sweaty fingers or aching hands from clawing the mouse. But that one satisfying shotgun blast outdoes them all in both emotional and physical intensity. It’s a strange combination of cartoony cell-shading, gleeful point-and-click adventure and immersion of survival/horror. 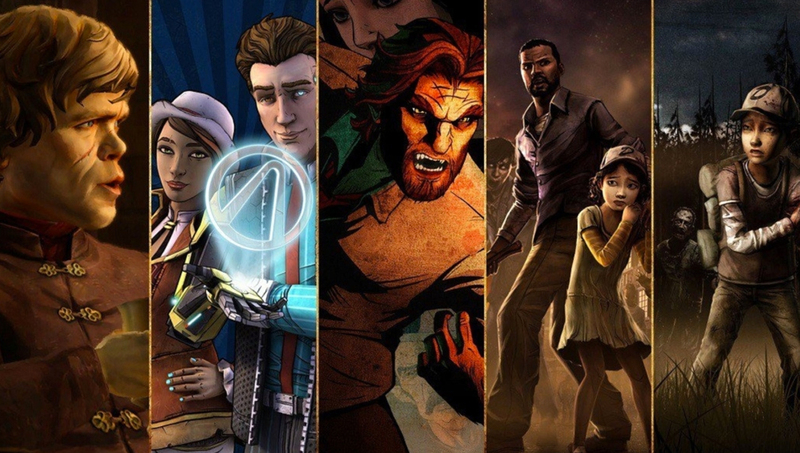 But Telltale has combined them to create one of their finest games, capturing and maintaining the immersion of weighty actions and decisions. The game’s story centers heavily on choices not unlike Mass Effect‘s conversation wheel or Alpha Protocol’s timed response options. But where The Walking Dead deviates are the variety of choices and the instantaneous feedback. Did you just lie about your name to another character? The game responds with a HUD update affirming what others believe about you. Did you just take pains to scrounge a protein bar for a little girl? 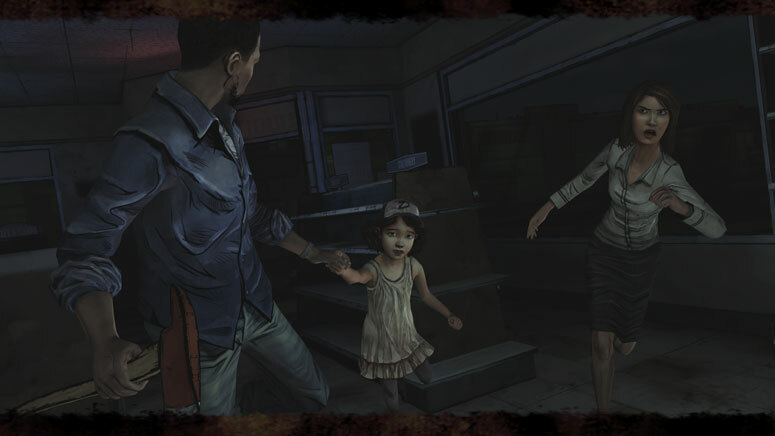 A prompt powerfully states, “Clementine will remember your kindness.” (Ed: This feature can be turned off in the options if you prefer a more ambiguous experience) While this may seem like a small detail, the feedback system keeps players from guessing about the implications of their actions, which is both gratifying and gives added weight to already heavy decisions. But perhaps the most revealing aspect of the game is choice. Sometimes the choice offered to the player is simply deciding whether to pursue more questions out of curiosity or end a conversation. There is no time limit and decisions are usually of little consequence. 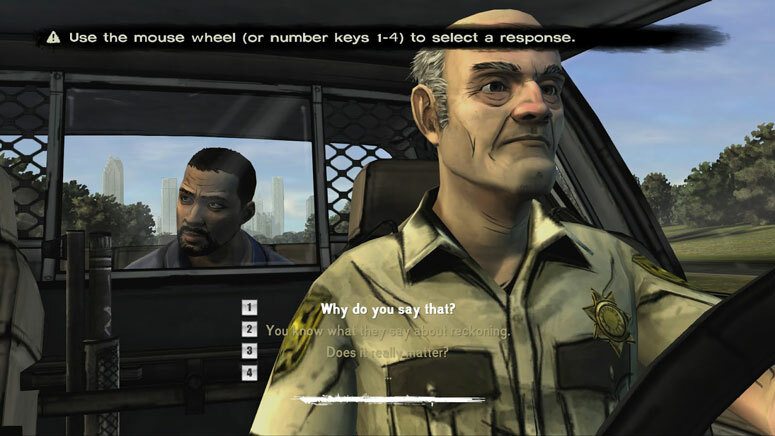 But the timed responses are where The Walking Dead reveals out the heart of the player. 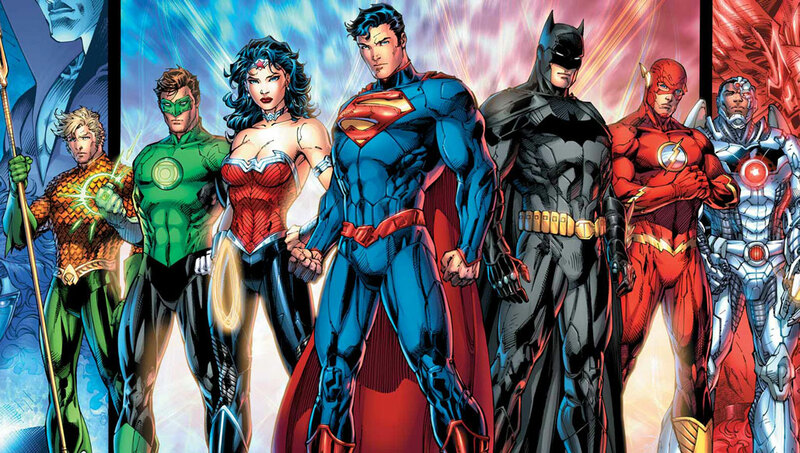 Choices range from whether or not to reveal your true identity, to whom you side with in a conflict. Do you shoot the child who may have been bitten for the safety of the group or wait and see if they turn? The decreasing time limit means less time to think, and more decisions based on impulse. When The Walking Dead unveils your character, you might be surprised by what you find. With two dying victims and only enough time to save one, I found myself choosing the character I liked more, not the one more likely to survive or more valuable to the group. I was willing to let a young boy get eaten alive, because he annoyed me. It’s not the choice I would have made rationally, but without time to think and the adrenaline coursing through my blood, I went with my gut. I’m not proud of it, but it’s the truth. The game has a way of forcing a confrontation between our supposed values and what truly lies beneath. As Lee points out to console another survivor, no one really has a choice when stuff hits the fan. “We just do what we do,” he says. When Bioware’s Mass Effect or Dragon Age titles give the player an infinite measure of time to choose, we gain control, but we lose the opportunity to face this truth. We forget that while making a tough decision is easy, how we live with our choices is what counts. The great irony, is with his old life in shambles, a life-sentence, and a dead wife, the zombie apocalypse is actually Lee’s second chance. Eventually, every decision Lee faces is about building a new life. Do you trust a stranger with a gun? Do you believe the little boy wasn’t bitten? And to gain the trust of a little girl, when do you tell the truth, and when do you deceive? 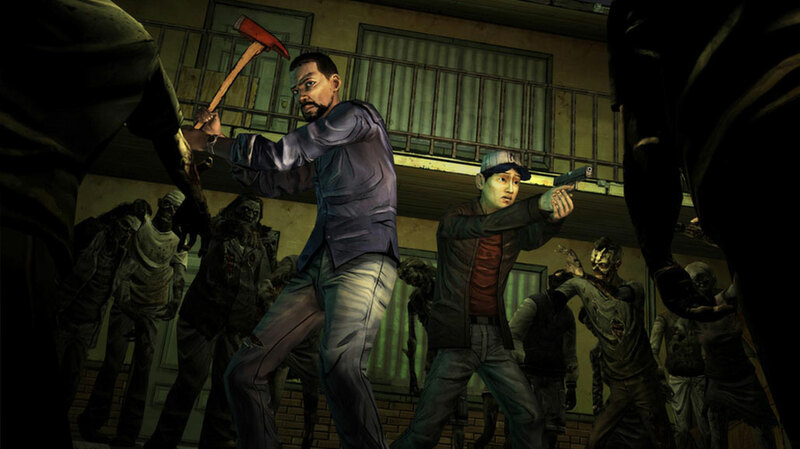 The Walking Dead walks this balance of loyalty, selfishness and survival, and asks the player to not only make a choice, but to learn to live with those choices. It’s too easy to seem righteous when the options are color-coded. When the tug-of-war lies between demons and angels perched on your shoulders, it’s too easy, too transparent. We do what we think is right, and we learn nothing. But as one character puts it, it’s amazing what a man will do when he thinks his life is over. When push comes to shove, we simply do what we do, and find ourselves staring at who we really are. Those are the choices The Walking Dead asks the player to live with. Because it’s only by living with our choices, that we learn from them.